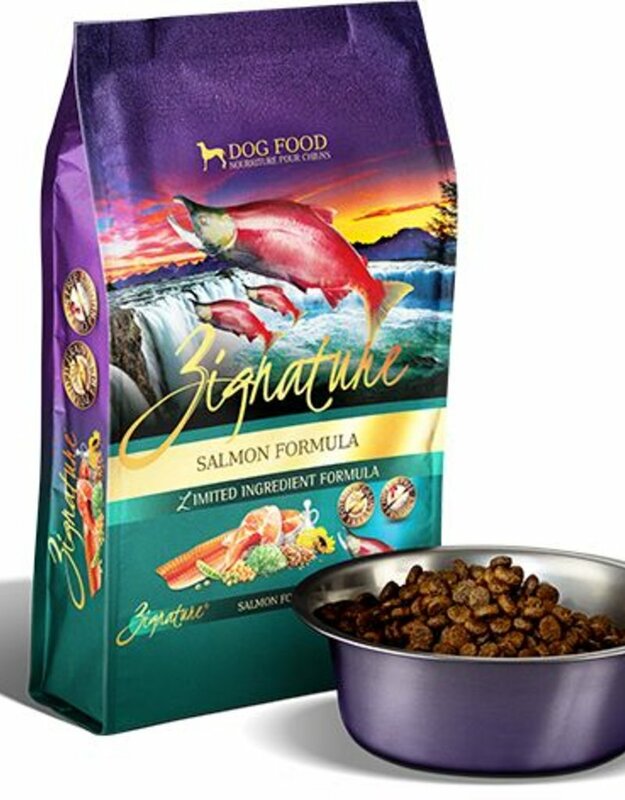 Zignature Salmon Limited Ingredient Formula Dry Dog Food is a limited ingredient food that mirrors the true diet of your pet’s ancestors. 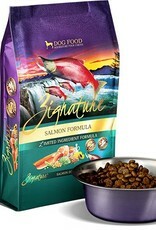 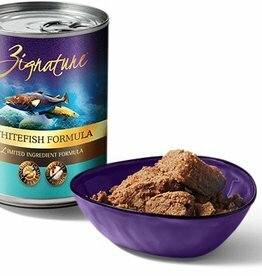 It’s made with protein-rich salmon from the Northwest United States, which provides an excellent source of iron and omega fatty acids as well as vitamins A, B1, B2, B6 and B12. 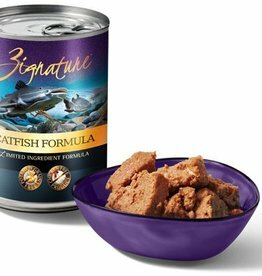 This meal helps minimize food sensitivities because it’s free of most common allergens like chicken, potatoes, grains, corn, wheat, soy and dairy. 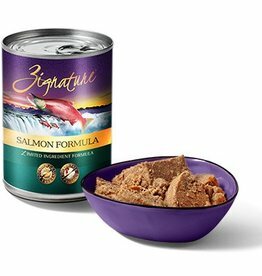 Zignature Salmon Limited Ingredient uses low-glycemic whole chickpeas for lasting energy and valuable dietary fiber. 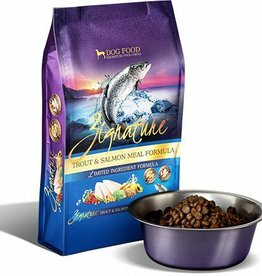 For complete nutritional information or a full profile on this product, visit the Zignature website.